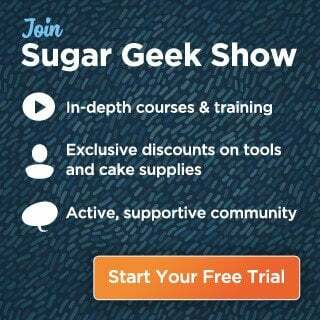 The lovely Claire Anderson of Clairella Cakes has graced us with an airbrushing basics tutorial to get any beginner started! This free (yes, I said free!) tutorial covers airbrushing your board, a lovely airbrushed water effect, airbrushing a mermaid tail as well as how to do some realistic shells! Claire demonstrates an interesting way to use a twig stencil to create a lovely water reflection effect that is pure genius! She talks us through creating the gradient and mixing colors to achieve the color you want while also adding highlights and dimension. 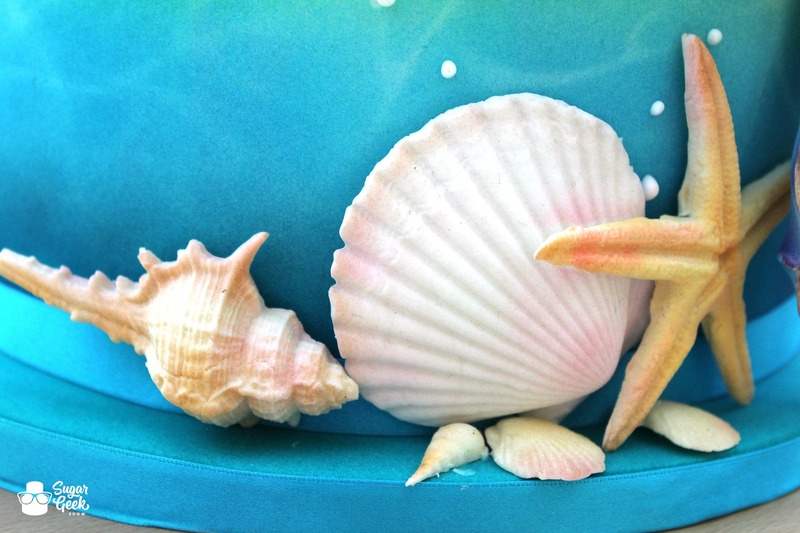 Slow build up of color is one of Claire’s tips and the subtle amounts make these shells really look fabulously real! 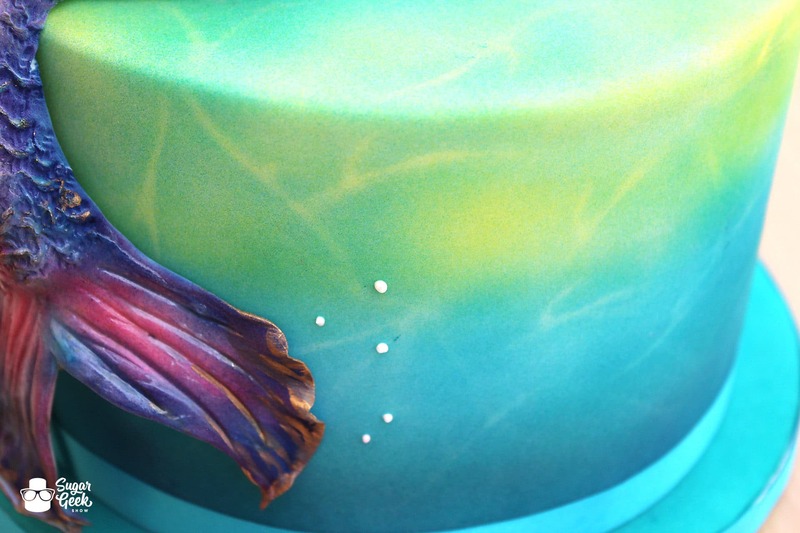 You definitely want to check out this tutorial if you’ve ever considered adding airbrushing to your cakes! Claire shows us just how easy and accessible airbrushing can be and it is without a doubt a beautiful unique medium in cake decorating. Watch the promo below or just skip straight to the full shabang HERE. 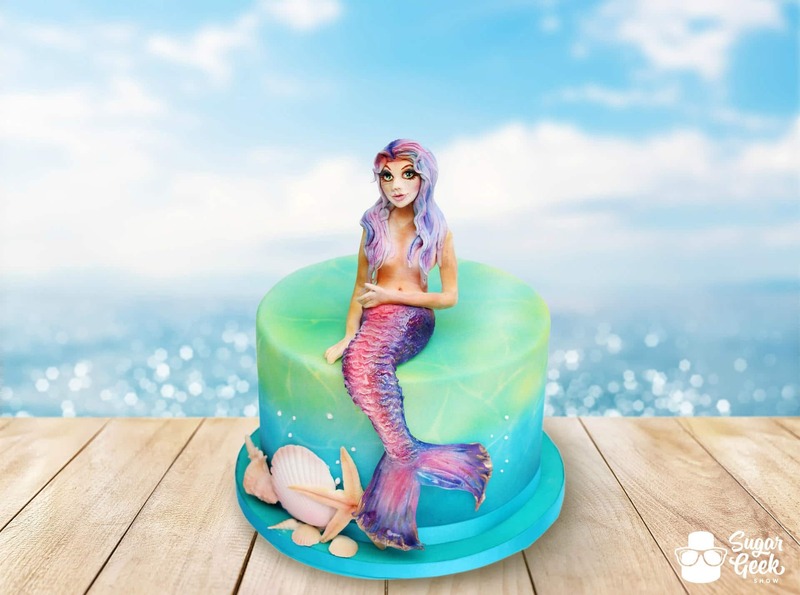 Buy the Clairella Cakes Airbrush today and get started on your new magical journey!